If you are interested in a major, minor or thematic sequence in Gerontology, please contact our advisor, Dr. Kate de Medeiros at demedekb@MiamiOH.edu. Age and aging are powerful forces that shape the human experience from birth to death. The percentage of the U.S. population age 65 and over is projected to grow from nearly 13% in the year 2000 to almost 20% in 2030. Improvements in health and increases in life expectancy have changed the way we think about and experience old age and our aging society. Gerontology has evolved considerably over the last decade. As a social science, it focuses on the social construction, meanings, and implications of the aging experience. Gerontology integrates knowledge from diverse fields including anthropology, demography, economics, family studies, epidemiology and public health, human development, political science, psychology, social work, public policy, and sociology. A 2008 report by the Institute of Medicine, Retooling for an Aging America: Building the Health Care Workforce, maintains that as the population of seniors grows to approximately 20 percent of the U.S. population by 2030, they will face a health care workforce that is too small and unprepared to meet their needs. The committee concluded that we need bold initiatives to broaden the responsibilities of workers at various levels of training; better prepared informal caregivers to tend to the needs of aging family members and friends; and new models of health care delivery and payment. The bottom line is that all of us, regardless of career choice, will be serving older clients/customers and their families. Globally, continued increases in the number and proportion of older adults and a dramatic rise in life expectancy are having an impact on all of the world's social institutions. 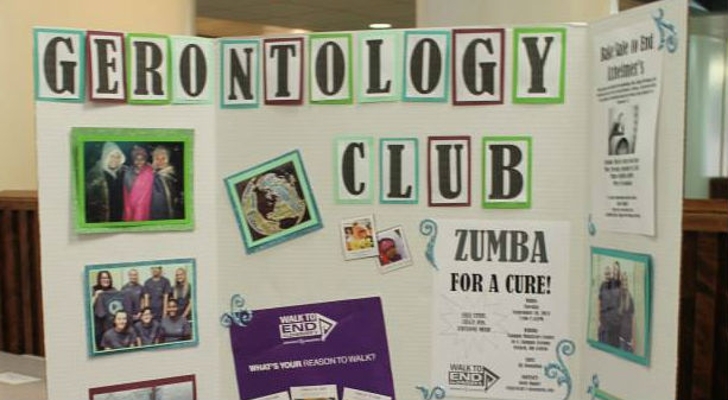 You may get involved in gerontology beyond the classroom in several ways. The Department of Sociology and Gerontology and the Scripps Gerontology Center co-sponsor lectures to which all students are invited and encouraged to attend. Recent speakers include Ann Basting, author of Forget Memory: Creating Better Lives for People with Dementia; Robyn Golden, Miami alum and former Chair of the American Society on Aging; and Chris Jennings, formerly the Senior Health Care Advisor to President Clinton and currently one of the pre-eminent policy consultants in Washington, DC; and Anne Gillespie, Miami alum and a senior associate at Booz Allen Hamilton, a leading strategy and technology consulting firm. There are several ways that undergraduate students may get involved in research. Gerontology faculty members frequently supervise students in independant investigations for which you can earn academic credit. Recent projects undertaken by gerontology students include working with a local area agency on aging on the organization's strategic communications plan, and an examination of the eating/dining experience for residents of a dementia care unit. In addition, the there is a problem handling links. encourages you to conduct small-scale independent research projects, and the there is a problem handling links. program enables Miami undergraduates to conduct extensive research or other creative activities in the summer under the supervision of an individual faculty mentor. Two recent projects are a study of Kikuyu older women in the changing Kenyan economy and an evaluation of TimeSlips, a story telling program for individuals with dementia. 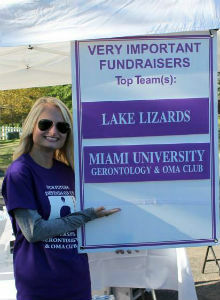 Miami University has a gerontology club and a chapter of Sigma Phi Omega (SPO), the national honor society in gerontology. Together, SPO and gerontology club members participate in service activities in the community that bring them together with older adults. For more information about these activities, contact Dr. Jennifer Kinney at there is a problem handling links. .